Fear, pain, anger and hope…. When the first taste of Acaraje touches your lips…. 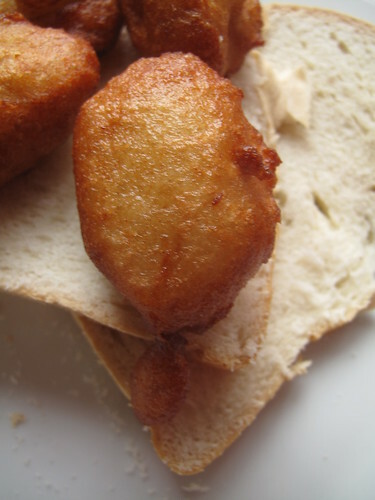 Come and eat Akara – ‘Acaraje’! We all sat down in an Indonesian restaurant. By some stroke of fate, I sat next to D, who is Brazilian….and as conversations pretty much around me at one point or the other end in food….., we happened upon the topic of ‘foods from home’. One mention of ‘Acaraje’ and a description followed. I was shocked. 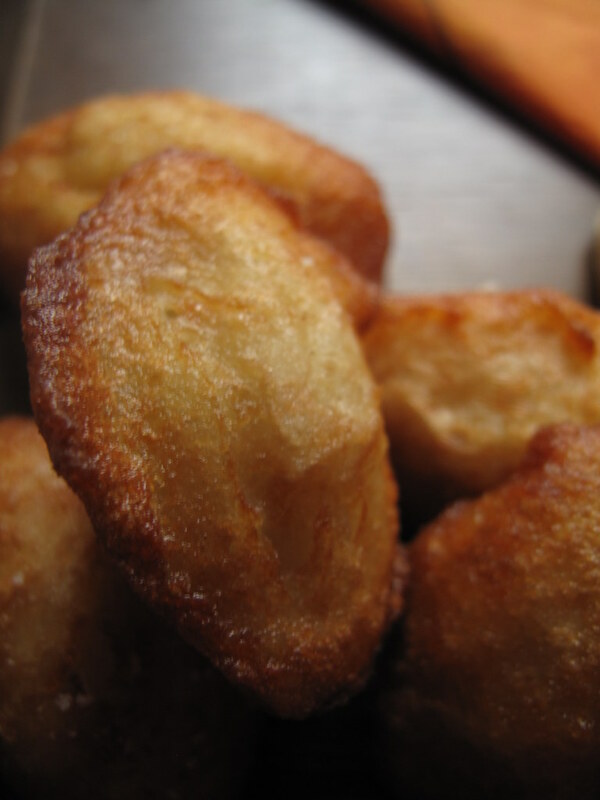 That was ‘Akara’….hands down, and I said as much. He said the African slaves brought it to Brazil and that it was especially popular in the Bahia region. Though he said African, I knew the slaves had to be Nigerian. 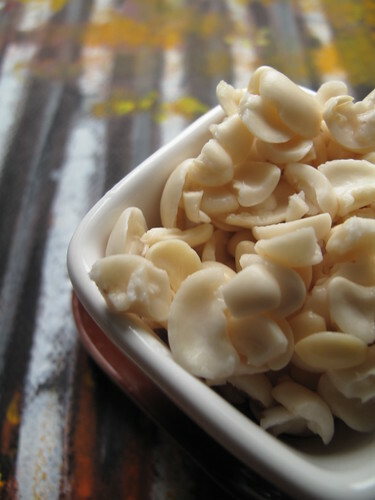 For these the name bore a striking resemblance to our Nigerian bean cakes! Months later, I was still pondering…..on the name, and on the captivity of souls….but also the freedom – to yield something of their own, even when captive. The power to create and change a national cuisine….spells for me abundant hope. And that’s what Acaraje has become in Brazil. Read on. I read that in Nigeria, when Akara is sold on the roadsides, the women who sell it call out ‘Akara je’, which means ‘Come and eat Akara’ in Yoruba. As I have never heard the sales cry, I am left wondering how true it is. Though it is not hard to imagine that when they (the slaves) came over to Brazil they chanted the same chants and so people assumed that what they were selling was called Acaraje. And so…the name was born and remains today….but only in Brazil! 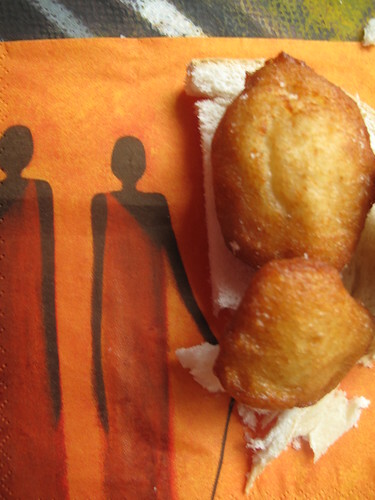 In support, Niyi Afolabi writes in an online article titled ‘The Land of Orixas: Reflections of a Yoruba in Brazil’ – ‘What is interesting here is the corruption of the noun “Akara” (the bean cake) and the verb ‘Je” (which means “to eat”). 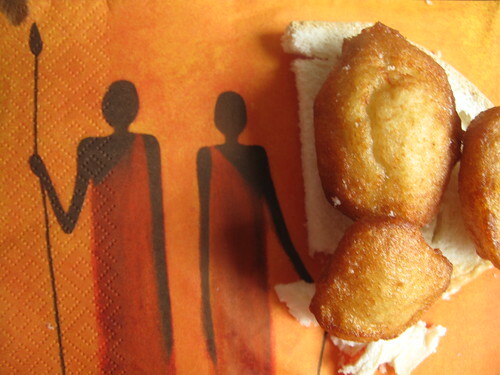 One can only come to the conclusion that through many years of enslaved Africans offering “Akara” to each other as a gesture of invitation (“Would you like to eat ‘Akara’?”) the two words are now totally corrupted and integrated into one noun as known today: Acaraje’ in Bahia today’. 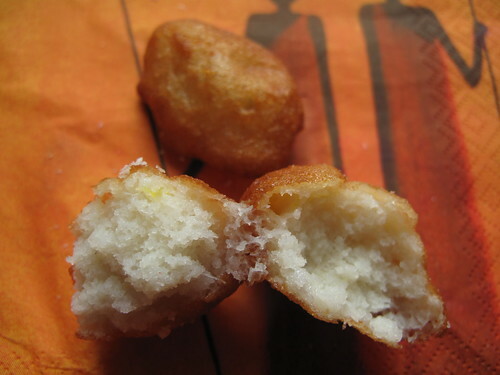 But Femuwe comments on the article saying ‘The etymology “akara to eat” (which would have to be from “akara jije”) is often claimed (for acaraje) but it is unlikely. 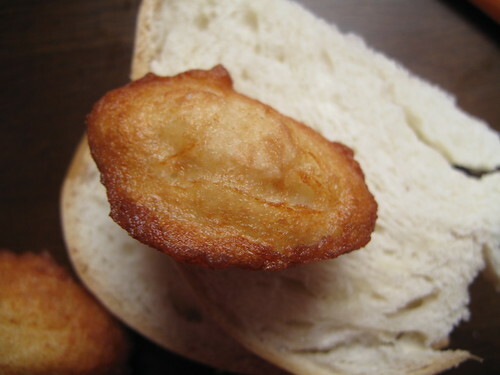 Semantically, what other kind of akara exist –“akara mimu” (“akara to drink”)? Similarly no one goes around hawking “bata wiwo.” (“shoes to wear”) because it is the only conceivable use. 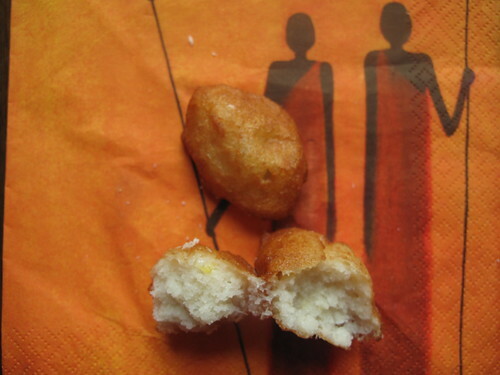 But on a recent visit to Salvador, Bahia, an eminent colleague reminded me that akara has many regional styles of confection, such as those of Ogbomo.s.o. (a Nigerian city), etc., so it’s reasonable to think that the Brazilians have taken one specific type to stand for the whole, maybe because they regarded that one as more delicious, or perhaps it was simply the one their population was most familiar with. 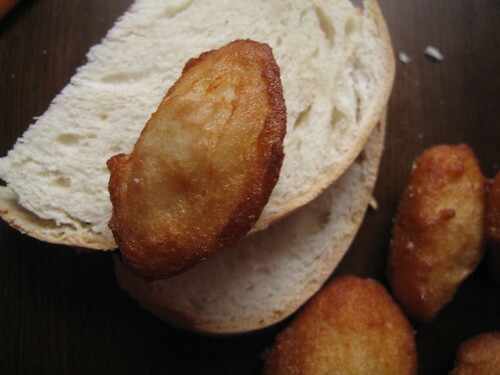 This is along the lines of what Shola, a visitor to my blog said ‘Actually the acaje (sic) is a type of akara from the western part of nigeria and its called akara ijesha there are different types of akara in nigeria and the one thats is made in brasil in actually the akara ijesha type’. 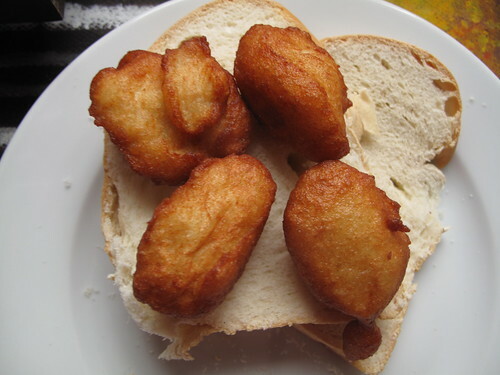 Note that Ijesha is a part of Nigeria where they make akara but fry it in palm oil, in the manner they do in Bahia. 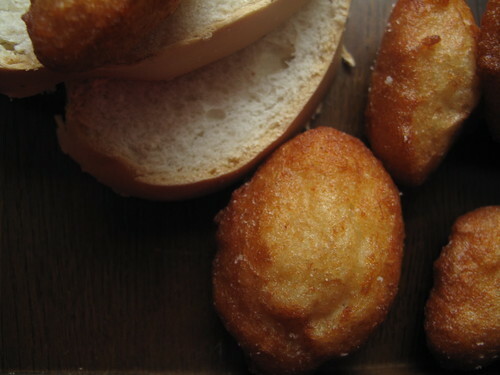 Regardless of the source of the name, Acaraje/Akara is delicious and in 2004, Acaraje was declared part of Brazil’s heritage culture in the region of Bahia, a bit like Feta to the Greeks and Cypriots! Brazil has a national institute called the Institute of National Historic and Artistic Patrimony (Instituto do Patrimônio Histórico e Artístico Nacional), commonly known in Portuguese as IPHAN, which has been charged with selecting the best of Brazil’s historic, cultural and artistic treasures. What is most interesting is that IPHAN has been charged not only with selecting paintings, buildings, palaces and churches, it has been charged with selecting those immaterial treasures that are central to the conception of Brazilian culture. This list of immaterial national treasures includes food and cooking, and though I am not sure if Brazil is the only country to so classify foods and preparation techniques, I’m sure it is one of a very few. It’s as if the USA declared that Kansas City Barbeque or Cajun Jambalaya were national treasures, worthy of inclusion in the Smithsonian Institute, or if Canada bestowed such an appellation on Quebec’s poutine. 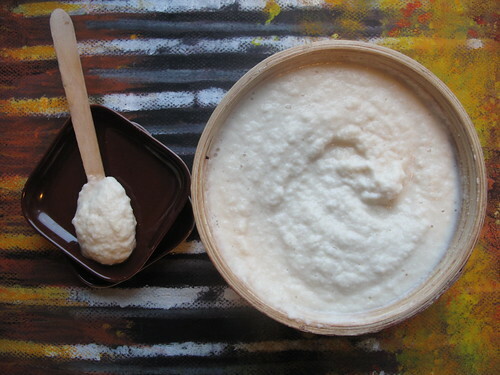 In the certification of “Acarajé as Sold by Baianas“ as a national treasure, IPHAN included acarajé itself and the way it is prepared, the traditional clothing of the baianas, which is linked to the rituals of the Afro-Brazilian religion Candomblé, and the customary layout of accompaniments on the baianas‘ streetside tables, called tabuleiros. 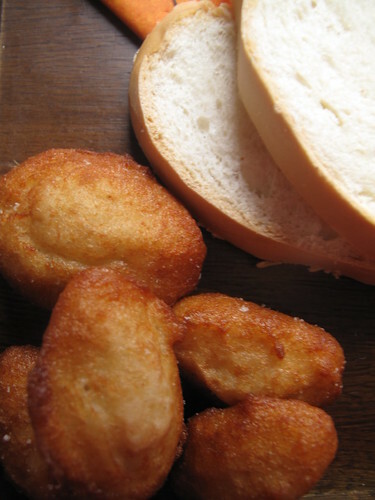 Now, all the critical elements of Akara are the same as Acaraje: they are made of black-eyed beans, sold on the streets, mostly by women and are tasty. One key difference between the Nigerian and Brazillian sellers is that of the ‘dress’: The baianas de acaraje – the women who sell Acaraje do their ‘jobs’ clad in ‘uniform’: white flowing dresses and colourful headscarves while in Nigeria, there is no such ceremony. The women wear whatever they have to hand, mostly with heads covered and that’s it. In Nigeria, the sellers also set up shop by the road side, though they’re generally small outfits. 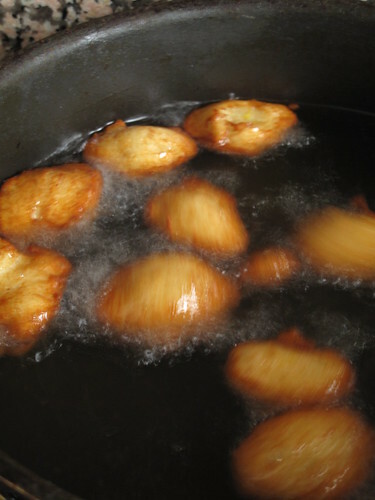 Huge pans are filled with oil and heated and the madam scoops spoonfuls of batter into the hot oil, careful of splatters. 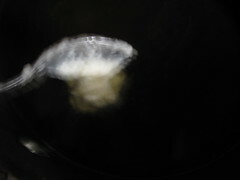 She may have a companion who helps stir the batter, which is often in a large wooden mortar, with a pestle. The assistant may also be the one to dole out the bean cakes, wrapping them up in newspapers. 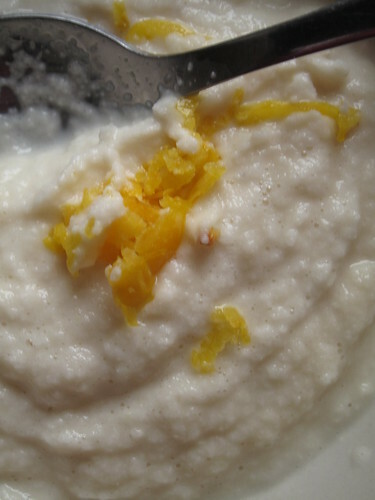 It is also a make-at-home recipe in Nigeria. In the past, this used to be more of my Saturday/Sunday morning brekkie, back at home. Now…things have changed, especially since I have to do most of it myself. In Brazil it is always made with dende – reddish oil from the palm fruit. Now dende has a peculiar taste. In Nigeria, you’ll find it made with only palm oil, vegetable oil or a mixture of the two. Personally, I prefer the vegetable oil version, which may purely be because I’m used to it. 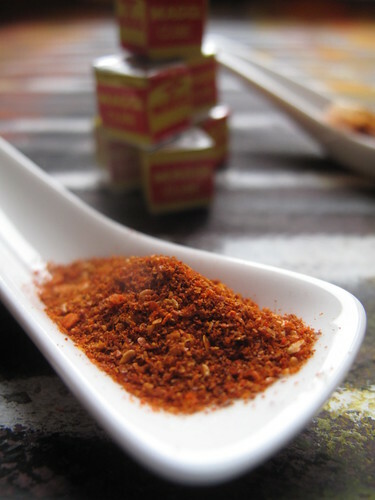 ….the resulting acarajés are usually eaten accompanied by camarão (small sundried shrimp), pimenta (hot pepper sauce), vatapá (a paste made from sundried shrimp, peanuts, cashews, coconut milk, and dendé), caruru (kind of an okra stew), and salada (or salad, usually just diced tomatoes). These “fillers” can be included or left off at will, and the camarão will cost a little extra. In Nigeria, none of the Brazilian accompaniments are served. 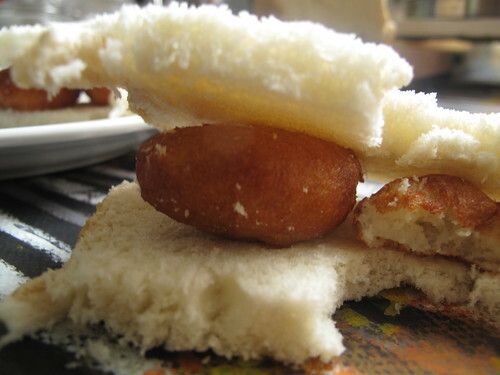 On the contrary, it is sold/served with soft, white bread or Ogi (a pap made from fermented corn). 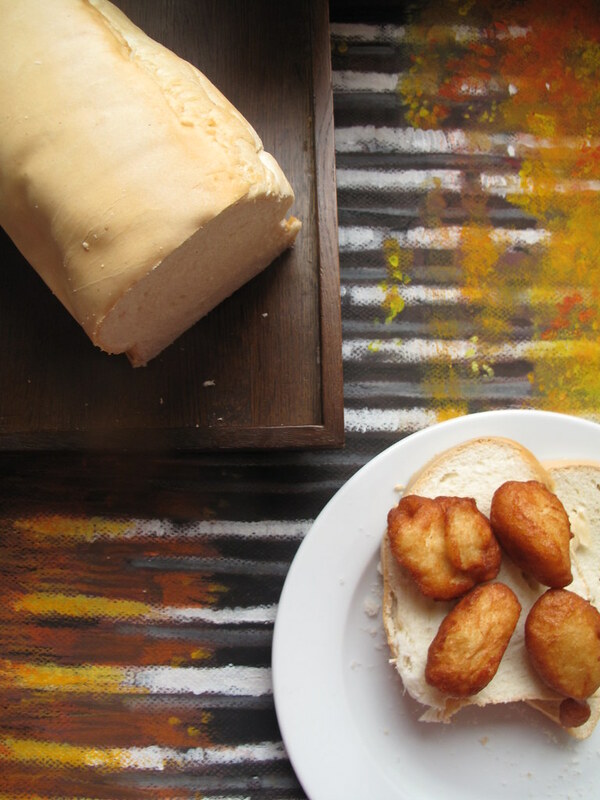 The bread is called Ojile’ in the south – Warri specifically and Agege bread in Lagos and environs. The closest you get abroad is a brioche. Saying that, it doesn’t have eggs in it and therefore is white and not yellowish. 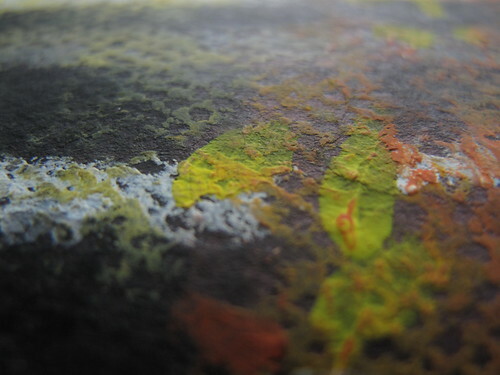 Also, it isn’t as sweet as Brioche…but it has the characteristic softness and can be ‘torn’ with considerable ease! Without further ado, I declare this my contribution to this week’s Culinary Tour 2010, hosted by Joan of Foodalogue. According to the descriptions Joan gave about the type of dish being cooked, this is definitely Traditional Brazilian food! 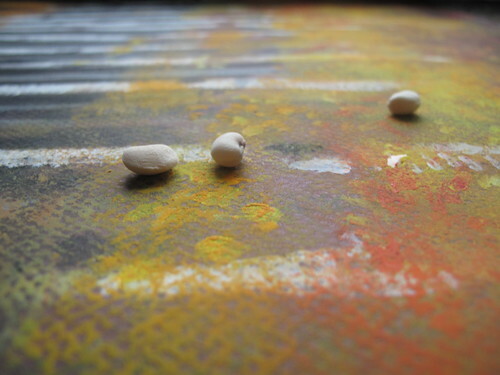 Step one – sort the dried beans and remove/discard stones and any other bits and inedible bobs. Then what’s left is the raw material, the main ingredient for your fritters, right? Well, depends on where you are. 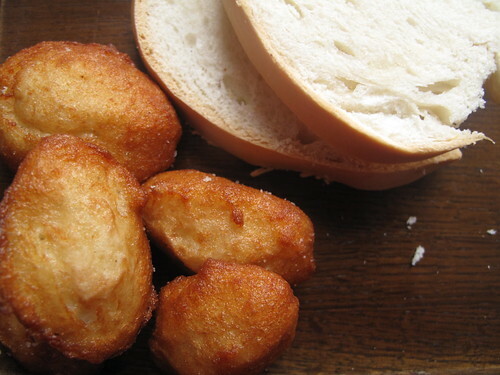 See when we moved to the Netherlands, I was desperate for some Akara and so I went out and bought some black-eyed beans. I soaked them overnight (which I wouldn’t normally do) and then tried to rub the skins off. Boy……..did I suffer. 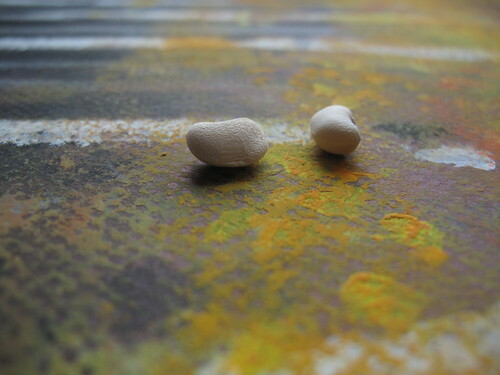 See, in Europe, the beans are usually polished and cleaned and God know’s what and so the skins adhere to the pods and want to remain forever cleaved. Eventually, I succeeded but it almost swore me off my beloved dish. 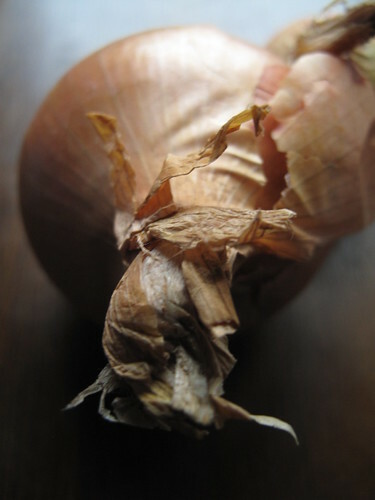 As with all expats, after a while you settle down and you find out all the local places where you can find home foods…or burden family members with bringing some when they visit – in exchange for a bed to lay their heads and food……and this is not to discourage you from trying to make it, either. Alternatively, you can use bean flour or gram flour – see my recipe on food52. 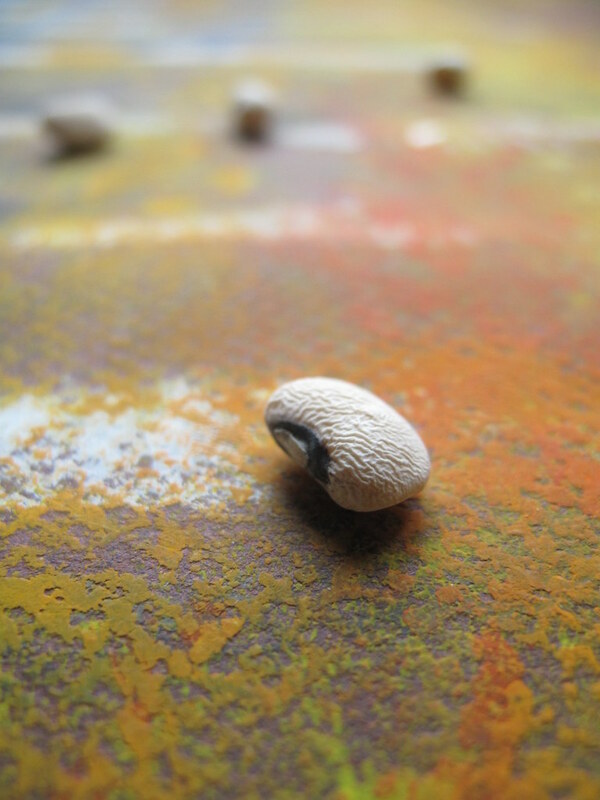 Rinse the beans under running water and then soak them in a large bowl of water, (to cover them) for a few hours. 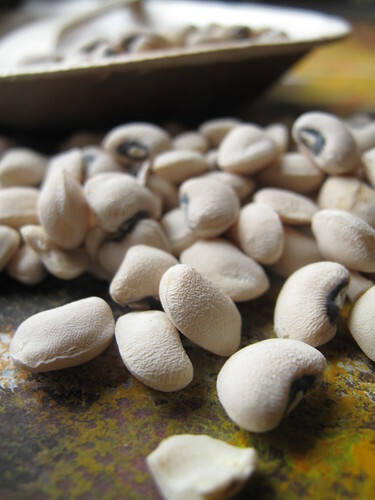 In Nigeria, people don’t like soaking them for longer than 2-3 hours because they say the beans over-absorb water and become tasteless. After soaking them, rub them together between your hands (making circular motions), to remove the skins. (In Nigeria, we would strain the soaking water away and then put in our rather large mortars and then crush them with a pestle to accelerate the skin removal). To get rid of the skins, fill the mixture with water and drain the skins and other debris in a colander. You will have to do this several times. When I rinse the mix, I have two bowls and a colander: one bowl has the beans mix and the other collects the water I drain off through the colander. I put water in the bowl, swirl it around,, tip it out, through the colander into the other bowl and then repeat till the beans are almost clean. In a blender or food processor, grind the beans with the onions, water and chilli peppers till a smooth, thick paste (like porridge) forms. You may need to stir the mixture around and pulse till you get a smooth paste. Some people allow the batter to stand for a few hours (or stay overnight in the refrigerator) because it improves the flavor. As for me and my house……we fry it straight away, though I often have leftovers in the fridge for the morning after. Alternatively, you can freeze it for at least a month then when ready to use, defrost in the refrigerator overnight. 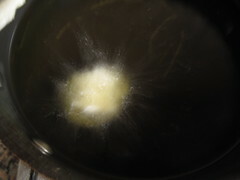 When ready to fry, heat about 3 – 4cms of oil in a deep frying pan, wok or skillet. Stir the batter with a whisk or wooden spoon and season to taste with salt. I always make sure I taste this to ensure I can taste the salt. If I can’t, then the resulting fritters will be a bit tasteless. At the same time, I watch the balance cause oversalty….not nice! Also, I don’t fry up the whole batch at once, I always season and fry the portion we need and keep the rest covered and refrigerated. 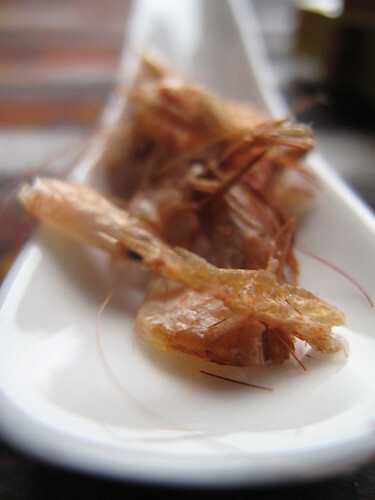 Some people add dried crayfish, stockcubes, dried chilli pepper…..it all depends on you. 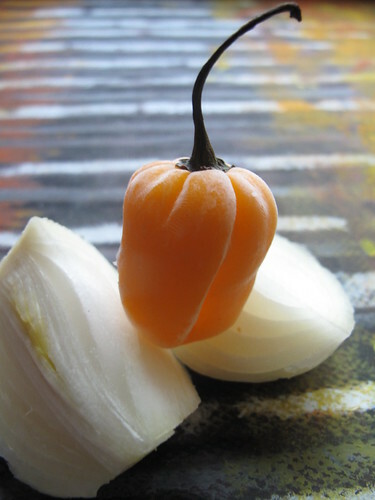 I add some chopped yellow peppers….hot and sweet! I usually put some slices of onions in the oil and as soon as it starts frying, I know the oil is ready – a bit like the cube of bread test! 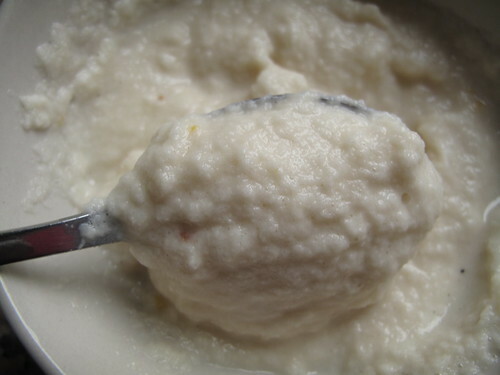 Using a teaspoon, tablespoon, ice cream scoop, take up some batter and gently lower into the hot oil. Repeat this with the other fritters, filling but not over-crowding the pan. 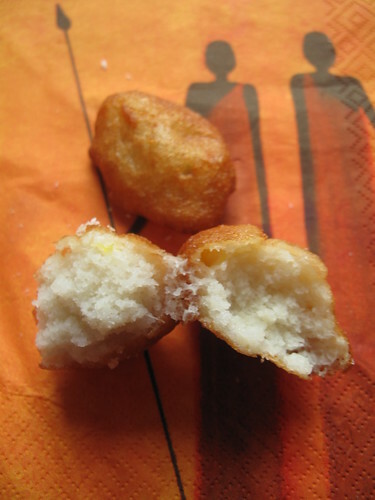 Deep fry the Akara balls until the under side is brown, then flip over and fry the other side. I love the fact that they end up with little crunch edges and corners and sometimes with tasty, crisp pendants. 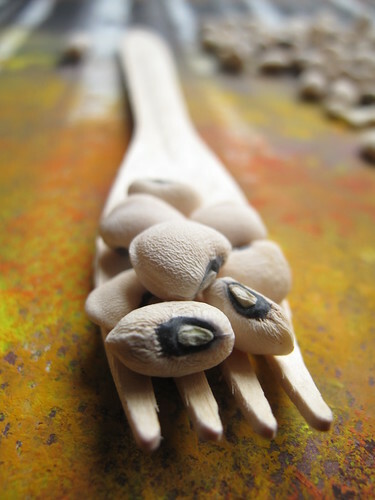 One bite and the soft, creaminess of the bean-flavoured insides and I’m transported in time….to another place….home. 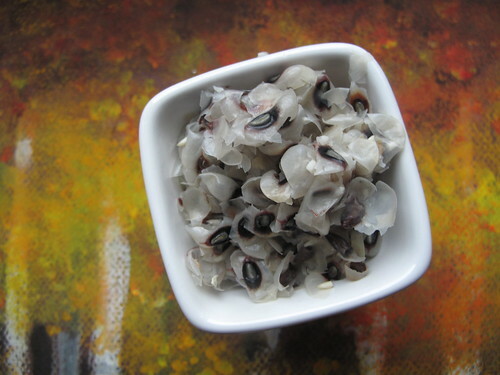 The flavour of the beans is unmistakable and surprisingly, you don’t need much more than salt to elevate it to a fab snack. 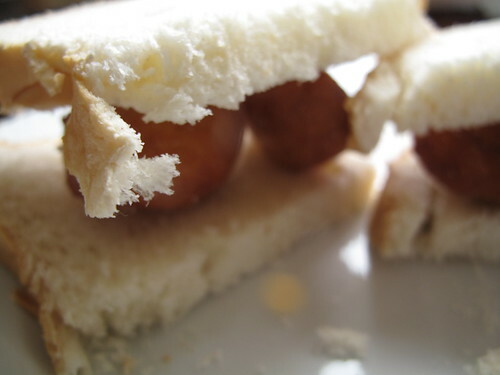 And this time when I thought about just serving it the way we do at home – just with bread, sometimes buttered…it seemed so simple. I was actually shocked. I hope you’ve enjoyed this. Please join us next week as we head to Colombia. At this point, I am (seriously) still thinking of what to make………..but have no fear, the goods will be delivered! January 11, Mexico: I missed it! – I am planning a make-up session though! February 15, Colombia: not yet decided, but will…..